Jim Stevens was born in the East, grew up in the West, schooled in the Northwest and spent twenty-three winters in the Midwest. 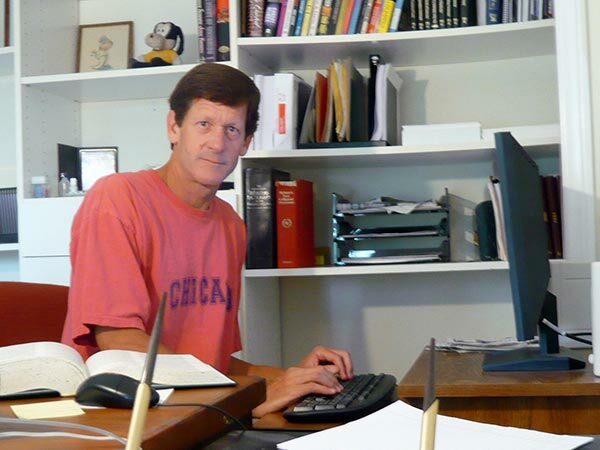 Jim Stevens has been writing for over thirty years. Usually without much success, but for some reason he keeps writing. Jim started writing TV series specs in the 1970’s and starved. He segued into spec movie scripts and really starved. He went into the corporate world for a twenty-five year career in broadcasting and advertising, but just couldn’t drop his pencil. He found time to write plays in the Chicago theater scene, wrote, produced, and directed numerous short films, videos, and TV commercials, created TV pilots, and even optioned a few movie scripts that never saw the glare of the Klieg lights. Jim has been writing novels for the past four years. His Richard Sherlock Whodunit series has ranked him in the top 10% of Amazon authors. He is also the author of Whupped, a reverse romantic comedy from many different points of view. His latest novel, Hell No, We Won’t Go A Novel of Peace, Love, War, and Football is his first writing of a ‘serious’ nature.